Your body is filled with bacteria, some good and some bad. The good bacteria plays a role in many processes of the body including your digestion, hormone levels, metabolism, weight and energy levels. The bad bacteria can lead to inflammation, infection and many chronic diseases. More and more people have become interested in the bacteria in our bodies, particularly in our digestive system. They want to know how to improve gut health and increase the good bacteria in their body. There are around 100 trillion microorganisms in our digestive system alone, which is ten times more than all the cells in our entire body. Based on these numbers, you can say that humans are more bacteria then they are human. The microorganisms that live in our digestive tracts is also known as our gut flora or gut microbiota and it is estimated that there are between 300 and 1000 different species in our gut. To increase the good bacteria in their digestive systems, people eat foods or supplements that contain probiotics and prebiotics. Probiotics are live microorganisms that are good for your gut health. There are many types bacteria that are classified as probiotics and each have different benefits. The most common groups are Lactobacillus and Bifidobacterium. Prebiotics (with an “e” and not an “o”) are chemicals, usually indigestible fiber, that can increase the amount of good bacteria already in the gut. The most common prebiotic is inulin (not insulin) which is found in many plant-based fiber-rich foods. The gut flora is responsible for many important functions. One of them is to break down undigested carbohydrates. Bacteria can turn these carbs into short-chain fatty acids which the body can use for energy and producing nutrients like vitamin K and certain B vitamins. Short-chain fatty acids also play a role with improved gut barrier function and T Cell differentiation. The gut flora also helps the immune system by preventing harmful species from becoming to prevalent throughout the body. The balance of good and bad bacteria is important to overall health and the prevention of many chronic diseases. Poor gut health has also been linked to obesity, type 2 diabetes and Alzheimer’s disease. There is some evidence that suggests that gut health plays a role with weight loss. While it’s not definitive yet, it does hint that there is much more to weight loss than just calories in calories out and the macros you eat. The first bit of evidence comes in the difference in the gut bacteria of lean and obese people. 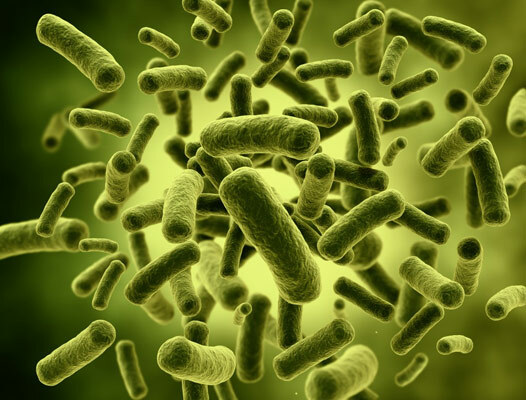 One of the major types of bacteria in the gut is Bacteroidetes. Obese people have less Bacteroidetes in their gut than lean people. Another study involved people taking the probiotic Lactobacillus gasseri. People who took this probiotic for 12 weeks lost more body fat, waist and hip inches and belly fat than the control group. Unfortunately, 4 weeks after they stopped taking it they went back to their previous measurements. This could either mean they need to take the Lactobacillus gasseri constantly or for a longer period of time. A separate study also found Lactobacillus gasseri may also reduce body fat. It also found that the probiotic Lactobacillus rhamnosus and a combination of Lactobacillus rhamnosus and Bifidobacterium lactis may also have a positive effect on weight loss. Not all probiotics lead to weight loss though. Another study found that Lactobacillus gasseri and Lactobacillus plantarum were associated with weight loss, but Lactobacillus acidophilus, Lactobacillus fermentum and Lactobacillus ingluviei were associated with weight gain. Yes… weight GAIN. So basically this means if you want to try a probiotic supplement to see if it will help you lose weight, you need to read the label and make sure it has the right probiotics. 1. Eat Probiotic foods and beverages. Whenever I make a recommendation, I always start with real food. Fermented foods have a lot of good bacteria so that is where I would begin. Some examples are of good probiotic foods are sauerkraut, kim chi, kefir, kombucha, yogurt (with live active cultures,) miso, and naturally pickled foods. Most of these are available in grocery stores but if you are adventurous you can try making your own. Sauerkraut is pretty much just cabbage and salt. Kim Chi needs some Korean chili pepper flakes . Kefir needs a starter culture and kombucha needs a SCOBY (symbiotic culture of bacteria and yeast) . If you are looking to add probiotic foods be careful of added sugar. Yogurt and kefir from the grocery store can have sugar added to it. Sugar helps to feed the bad bacteria in your gut so that can be counter-productive. When adding fermented foods, choose ones that don’t use vinegar or pasteurization. These can kill a lot of the good bacteria that you’re looking for. These will increase the amount of good bacteria by feeding the bacteria that is already in your gut. Soluble fiber is what the gut flora looks for to consume and ferment. Since prebiotics come from fiber-rich foods, some of them will have a lot of carbohydrates. Carbs are not a bad thing, but if you are on a low-carb plan you’ll need to pay attention to this. Some great prebiotic foods are artichokes, onions, garlic, asparagus, sweet potatoes, bananas, honey, turnips, brussels sprouts, leeks and dandelion greens. It’s important to have a good ratio of good and bad bacteria in the gut so you want to limit the amount of bad bacteria. These crappy foods help to feed the bad bacteria in your gut. Most people eat way too much of these which means their gut bacteria has way too much bad bacteria and way too little good bacteria. This can start to wear away at the lining of the intestines and lead to inflammation, and digestion problems. These drugs serve a purpose and can help people with many issues. The thing is people turn to these a lot more than they really need. I know some people use an NSAID (Non-Steroidal Anti-Inflammatory Drug) like Advil or Tylenol, every time they have a little headache. Used properly they can kill infections and reduce inflammation. The downside is they can also kill the good bacteria in the gut. This makes it much easier for the bad bacteria to thrive. These drugs don’t just get into your system from pills. They are also in foods we eat in the form of non-organic fruits and veggie and factory raised meats. In addition to getting probiotics from food, you can also get probiotics from supplements. I like to get as much nutrition from real food as possible, but supplements can help give you a boost if you diet isn’t up to par. Probiotic supplements can be useful to repopulate the good bacteria in your gut after a medication, like an antibiotic, kills the good bacteria in your gut. There are a lot of types of probiotic bacteria that have do different things in the body so do your research because not all supplements are created equal. And of course, if you are unsure about taking anything or if you have any pre-existing condition, please consult your doctor. This Probiotic Supplement contains 5 live strains of bacteria and positive Amazon reviews. So there it is; your basics on the gut health and how it effects your body. There is still a lot that is unknown about the full effects of gut health on the body but hopefully this intro helped shed some light on it for you. 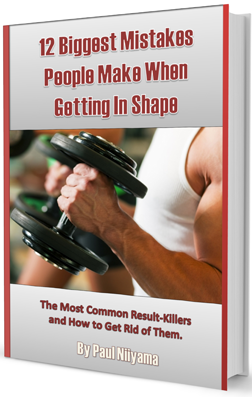 If you haven’t already checked out my FREE eBook on how to fix the 12 biggest mistakes people make when trying to get in shape, you can get your copy by clicking here. And as always, if you have a comment or question, you can leave it down below or on the facebook page. Thanks for reading… now get to the gym and go SMASH IT!! !